Social media has rewired our society in countless ways. There are platforms for most, if not all, of our social requirements – from listening to music to scheduling a work meeting. All we need is a good Wi-Fi connection to never be alone. People have opinions. It’s no surprise that in communities of millions of people, some opinions clash. The way people handle disputes varies. Some prefer to turn off their computers, some brush it off, others threaten you, using some of the most creative yet ungodly vocabulary. Online hate speech can cause a great deal of harm. In 2016, a special Eurobarometer survey focused on online hate. People from 28 Member States were asked if they’ve ever heard, read, seen or experienced such instances. Malta placed fourth having one of the highest percentages of people who have admitted to encountering hate, after The Netherlands, Sweden and Denmark. 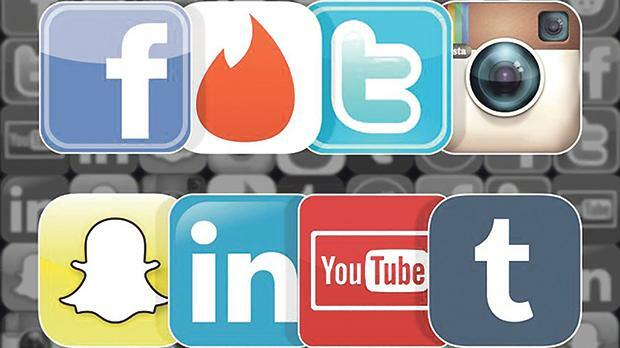 A separate survey by ICON reported that 99 per cent of Maltese people surveyed used at least one social media network daily, with adults below the age of 30 spending two to four hours on social media every day. That’s almost one day per week. How many people are suffering locally? Hate speech shouldn’t be taken lightly. It can crush a person’s confidence and limit their sense of personal freedom. It can trigger people into engaging in violence, desensitising themselves from others’ suffering just as abusers have done to them. Hate speech is also illegal in Malta. Despite not being incorporated in our general crime recording system, a person can be fined or even arrested under certain circumstances. Punishing people for hate speech is not ideal. The internet would be a better place if we were as empathetic online as we are with our pets. In a world ravaged by wars, climate change and other major issues, being nicer to each other online can go a long way. Gail Sant is performing a Jobs+ Work Placement Scheme with Think Magazine. • Human eyes are approximetly one inch in diameter and weigh 0.25 ounce. • Two identical snowflakes were discovered in 1988. • Newborns don’t produce tears until about four to 13 weeks old. • Snow is translucent not white. • Coughs release germs at around 90 km per hour. • Amphibious architecture has caught on since the beginning of the 21st century, for three main reasons: fear of levels of water rising, economy and technology. Fear of levels of water are all correlated with climate change and as a result of this many flood mitigation strategies incorporate some amphibious building techniques. When it comes to economy and shortage of land, architects and engineers have had to reclaim seabeds or build floating structures. While it is not a new concept to build on water, new materials and construction methods have made these floating structures more durable, comfortable and affordable. This work describes a new typology based on three factors: relation to water, buoyancy and mobility that encompasses the architectural objects of all sizes, functions and movability. These works can be built both in and on the water. • Plastic in our oceans is an increasing problem. Bags, bottle caps and plastic fibres from synthetic clothes all end up in our oceans and water systems, which are disrupting our ecosystems. Plastic is not biodegradable; it will only break down into smaller parts and can persist for hundreds and thousands of years. These tiny fragments are swallowed by animals and end up in the ecosystem. The Ocean Cleanup project is a 10-year project between 2015 and 2025 which will place collectors near coasts, as it is where there is the largest flow of plastics. The team also looked at areas where microplastics overlapped with microscopic floating plants, phytoplankton. These microscopic plants are the basic food of many ocean ecosystems, and microplastics are entering the food web in these areas as microscopic animals accidently eat them. The team also found that placing collectors near the coasts is more efficient in collecting plastics.